There's so many good movies coming out all of a sudden. I don't even know where to begin. I swear they're coming out of the wood work. This year has been a lack luster year for movies, so this is awesome. These three trailers below look really good. I love how they share the same underlining message of hope. They aren't extraordinary trailers by any means, we've certainly seen movies like them before, but they struck a cord with me and I had to share them with you. Take a look! I can't say I'm much of a country music fan, but every now and again a good country movie comes along and grabs my attention. Sony Pictures has just debuted their Country Strong trailer staring, one of my all time favorite actresses Gwyneth Paltrow. She plays a fallen country star ready to make a comeback. And yes, that's really Paltrow singing - she has an amazing voice! It also stars the likes of Tim McGraw, Garrett Hedlund and yes, Leighton Meester. Even though this movie resembles last years country film, Crazy Heart, it still looks pretty good and I can't wait to see it. 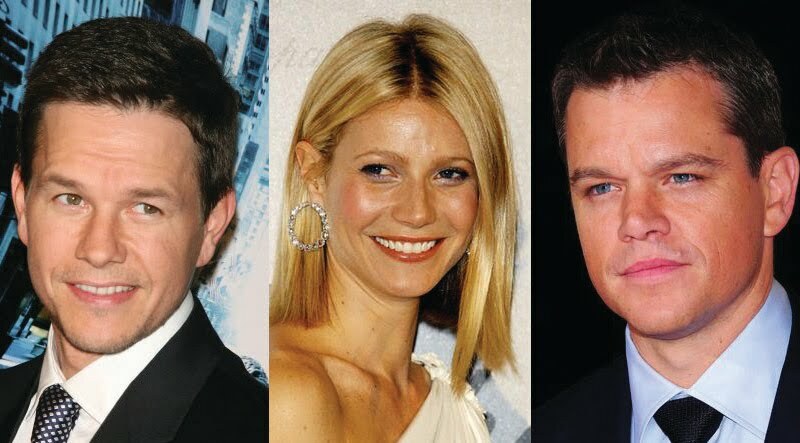 I wouldn't be surprised if Poltrow was nominated for an Oscar. Country Strong is written and directed by up and coming director Shana Feste and plans to hit theaters next year, June 23nd 2011. A drama centered on a rising country-music songwriter (Hedlund) who sparks with a fallen star (Paltrow). Together, they mount his ascent and her comeback, which leads to romantic complications involving her husband/manager (McGraw) and a beauty queen-turned-singer (Meester). I was hoping the next movie we'd see by the lovely Mr. Matt Damon would be The Adjustment Bureau, but that sadly got bumped back to next year. Thankfully we have another Damon movie in the midst to tie us over. Warner Brothers recently debuted their latest trailer, Hereafter. It's a dark supernatural film about a guy who can speak with ghosts. In addition to Damon, this film also stars Bryce Dallas Howard, Richard Kind, Jay Mohr and Cécile De France. The music in this trailer is beautiful, I love it! And even tho it looks a little different for my taste, I'm definitely intrigued. I'm a huge Mr. Matt Damon fan and he looks like he gives a great performance. Hereafter is directed by Clint Eastwood and written by Oscar nominated British screenwriter Peter Morgan (The Queen, The Last King of Scotland, The Other Boleyn Girl, Frost/Nixon) and is due to hit theaters October 22nd. A supernatural thriller centered on three people — a blue-collar American, a French journalist (de France) and a London school boy (both Frankie & George McLaren) — who are touched by death in different ways. as the 'Irish' Mickey Ward. Also staring in the film is Christian Bale as his brother Dickie Eklund, and the sultry Amy Adams. Now I'm a huge fan of all three of these actors, but another boxing movie? C'mon! I have to say though, this actually looks really good. I love the energy, I love the build-up, this is one of those trailers that makes you want to stand up and cheer. Let's hope the movie has the same effect. I think Bale, especially Wahlberg and even Adams have a shot at some Oscar nominations. The Fighter will be hitting theaters December 10th. Do any of these movies look interesting?